For a full list of special events and more visit the Disney Food Blog’s 2018 Epcot Food and Wine Festival special events page. The signature dining events for this year take place at Epcot World Showcase restaurants including Via Napoli, Teppan Edo, Monsieur Paul, and more. Start making plans now! 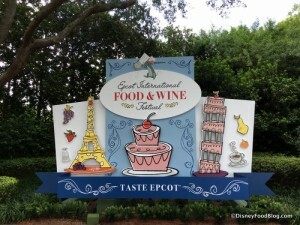 And for the most up-to-date Festival information be sure to visit the Disney Food Blog’s 2018 Epcot Food and Wine Festival page.